Susan has grown up in the Albury-Wodonga area and has had a lifetime association with the Real Estate and Stock and Station Industry. Susan attended school in Albury and then trained as a registered Nurse at Albury Base Hospital. After some 20 years of nursing, Susan decided to change direction and join the family company in 1998. She has worked with her father, Brian Unthank, for the past 20 years and has made a career specialising in the sale of Rural Lifestyle and selected Residential properties. 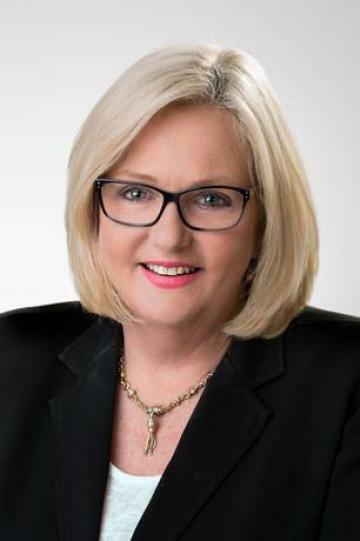 Susan is a fully licenced Real Estate Agent, and Stock and Station Agent (both NSW and Victoria) with strong Auction, sales and negotiation skills. This combined with an extensive knowledge of the area and the industry as well as having strong empathy for each individual’s needs means that you will need to go no further for all your real estate requirements - Residential, Rural Lifestyle, and Rural. Attractive brick veneer (circa 1980) residence in a quiet leafy cul-de-sac with a direct northernly aspect just minutes to Albury CBD and all it has to offer. The home is set at the rear of the allotment with a powered driveway and double lock up garage at the front. This maintains absolute privacy from the street. The “stand alone” garage has a concrete floor, power and a remote-control door. 288 Borella Road, East Albury offers the opportunity to purchase a large 1046m2 allotment in old East Albury with a solid brick Californian bungalow (circa 1940’s). Comfortable two (2) bedroom rendered brick veneer home situated in attractive Nagle Road, close to all amenities and easy access to Hume Freeway. “Inala” 58 Bowna Park Drive Table Top. Quality home on 3.24 ha– 8 acres with outstanding views over lake Hume and the surrounding hills. Situated just minutes from Thurgoona shopping Centre and Albury Airport and C.B.D. (Circa 1975) brick home in an established garden setting with inground salt chlorinated pool and spacious lawns. Original kitchen with a new “butlers pantry” with double sink and dishwasher. For Sale by public auction Saturday 25-05-2019 11am on site. An easily accessed Table Top property either by way of Hume Freeway or Table Top Road, Thurgoona. Just 14 kms to Albury. 5 minutes to Thurgoona Shopping Plaza and 15 minutes to Albury Airport. A “Dress Circle” location in the popular Table Top community. Beautiful elevated allotment with aspects to the east and the precinct of Lake Hume Hills. A lower cost, delightful well presented rural residential property situated in perhaps the most attractive higher rainfall district within the Upper Kiewa Valley precincts. A fully developed apartment complex presenting five (5) modern, free standing apartments in excellent condition on one elevated allotment. An opportunity to enter into the vibrant Indigo Valley lifestyle market with this well presented and easy to maintain property.. Attractive brick veneer townhouse in a popular central Albury position. Easy walk to Dean Street. Only (2) two on block. A high profile, well maintained property in a most desirable location. A property steeped in and directly associated with the history of early Albury districts. Originally part of the Table Top Run, a total area of 75,000 acres, based at Table Top Homestead and stretching from just north of Albury to the original outstation of Mullengandra (8,000 acres). This attractive brick veneer home is set on a generous 755m2 allotment and is ideal for the investor, renovator or first home buyer. Low maintenance laws and surrounds, undercover BBQ area plus fully lined double bay shed that can be used as extra accommodation or ‘man cave’. Situated close to Thurgoona Public School and the Thurgoona plaza, this property has easy access to Albury Wodonga via Hume Freeway and walking distance to Charles Sturt University. The life and the style! A beautifully maintained residence with commanding street appeal on the high side of the road in a most sought after West Albury location. Attractive smaller rural lifestyle property in the Somerset Park Estate just minutes from Holbrook township and an easy commute to Albury –Wodonga. Quality “as new” Dennis Family home plus excellent shedding makes for quiet comfortable living in a highly regarded area. Location. 499 is situated on the Culcairn Holbrook road just 6.8 kms to Holbrook, 64 kms to Albury Wodonga via Hume Freeway and midway between Sydney and Melbourne. Just 50 minutes to Albury Airport. Solid red brick bungalow (1950’s circa) close to primary and secondary schools. Comprising (3) three bedrooms, original bathroom and large laundry. Lounge room with built in book cases and open fireplace plus sunroom/family room which leads to a rear entertainment undercover entertainment area. Kitchen with gas cooking. Ducted heating and cooling. Lockup single garage with power and adjoining storage shed. Low maintenance garden and surrounds. Ideal renovator or investment. We would like to express our appreciation to Brian Unthank Real Estate and in particular Susan Hanrahan, for the very successful sale of our property, which was completed well within our time frame and achieved an excellent result. The entire sale process was hassle free and a much more pleasant experience than we had anticipated. We did have some initial concerns, particularly in relation to the “open house” approach. However, there were no problems whatsoever and the follow-up communication was always very prompt and informative. We give special thanks to Susan for her time and effort throughout the whole sale process. We found her to be very pleasant and professional to deal. Should the opportunity arise, we would have no hesitation in recommending Susan and her team at Brian Unthank Real Estate to anyone considering selling their home in the area.